This year has been marked by the emergence of fantastic stories of women in science, most remarkable being the two books released this year about the role of women in the Space Race–Nathalia Holt’s Rise of the Rocket Girls and Margot Lee Shetterley’s Hidden Figures. Having spent the last two and half months of the summer working on a NASA facility, where I uncovered more stories of the diversity of our involvement with exploration of the heavens, I don’t know why I was so surprised by the story of women computers. After all, I mentioned them in a novel I completed a little over a year ago, where my protagonist visits the Radcliffe Observatory in 1910s Oxford. Computing, based on the work of others. For twenty years some women have always been included in the corps of Harvard computers. Original deductions (not necessarily star-work). Work of this kind has been carried on chiefly by special students of the Harvard Annex. In this class of work must be named a longitude campaign—probably the only longitude campaign ever conducted wholly by women, whereby Miss Byrd and Miss Whitney determined the precise distance in longitude between the Smith College and Harvard College Observatories. Miss Byrd is now director of the Smith College Observatory, and Miss Whitney is Maria Mitchell’s successor at Vassar. In this second class of work may be included also the making of a standard catalogue of the stars near the North Pole by Miss Anna Winlock, the daughter of a former director of the Harvard Observatory. The Henry Draper Memorial work, and four other investigations, less extensive, though similar in kind to those provided for by the Draper fund. 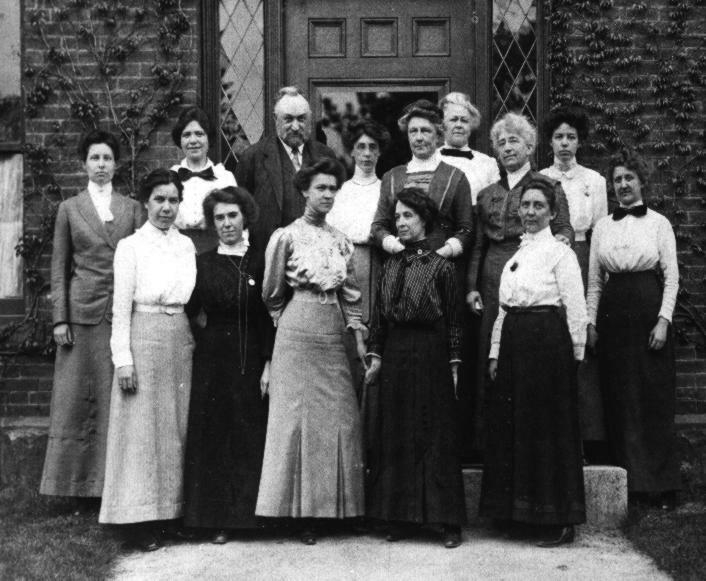 Besides the “Draper Memorial” work, four other Harvard Observatory investigations were published with the aid of the women assistants. A study of the Pleiades. This group will probably always be used by astronomers as a test and means of comparison with the work of their predecessors. The Harvard Observatory aim is to furnish a measure of photographic brightness of a portion of the stars in this group, so that the results reached by other observers may be reduced to a uniform scale. The enumeration of all the nebulae photographed in a given portion of the sky. This investigation shows the probability of a marked addition to the number of known nebulae. Photography has already greatly increased the limits of the nebulae in Orion. A few years ago, Prof. W. H. Pickering found this nebulous region to include the sword handle, and more lately it has been found to include a wide area extending north and south from this. The scope of women’s work in astronomy was varied, but paid work was limited by the sexist conventions of the day. However, as seen with the release of the aforementioned books by Holt and Shetterley, the film adapatation of Shetterley’s book, as well as other stories that are emerging of women scientists of today and of the past, these “hidden figures” prove that our imaginings of the past will always be challenged and expanded! For more photos of Harvard’s women computers, visit Harvard’s collection of images devoted to the Observatory’s history. « Happy 100th Birthday to the National Park Service!